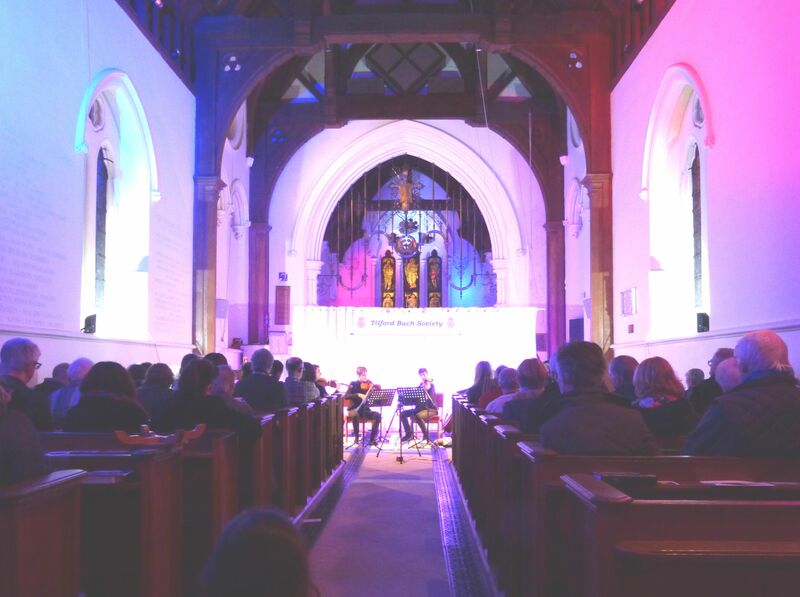 The Isbilia Quartet opened the Society’s new Conservatoire Concert season with a wonderful concert in the beautiful Busbridge Church. Despite it being one of the coldest evenings of the winter the church was full with an enthusiastic audience including some children. 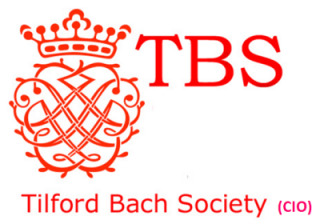 Proud winners of the ‘Cavatina Intercollegiate Chamber Music Competition 2016’ and the ‘John Barbirolli String Quartet Competition 2016’, Isbilia Quartet was founded in 2014 by four Spanish Master graduates of the prestigious conservatoires Royal Academy of Music and Trinity Laban Conservatoire of Music and Dance. Since they were formed, the quartet has performed in major venues, including the Wigmore Hall and King’s Place. They are enjoying a busy 2016/2017 season performing around the UK and Spain, and will give their St. Martin-in-the-Fields debut on the upcoming 4th of April. 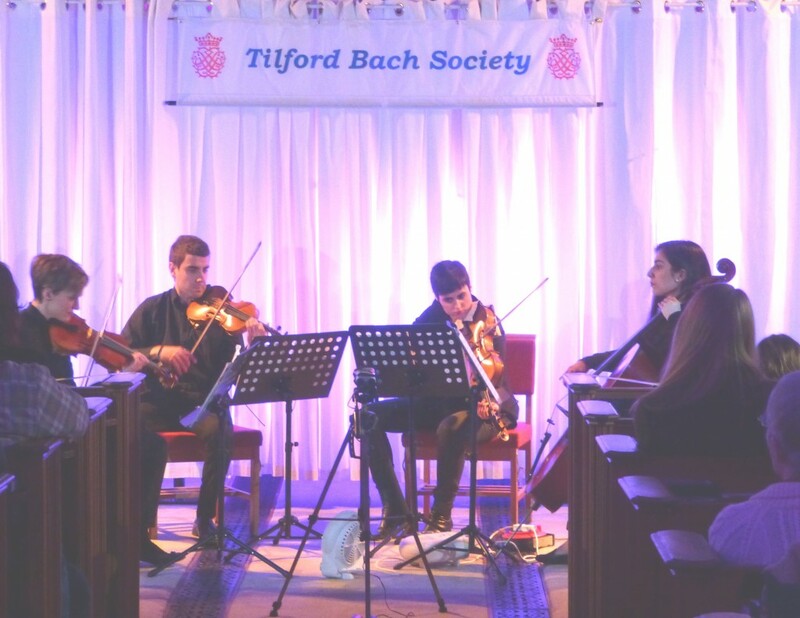 Isbilia Quartet was successful in their audition for a place on the Trinity Laban ‘Quartets in Residence Mentorship Programme 2015/2016’ and worked alongside with the Carducci Quartet and Wihan Quartet. During that year, they recorded Shostakovich ‘String Quartet No.8 Op.110’ and Beethoven ‘String Quartet No.3, Op18’. Collaborations with composers include the UK premier of “Con Aire de Tango”, by award-winning composer and pianist Arturo Cardelús. 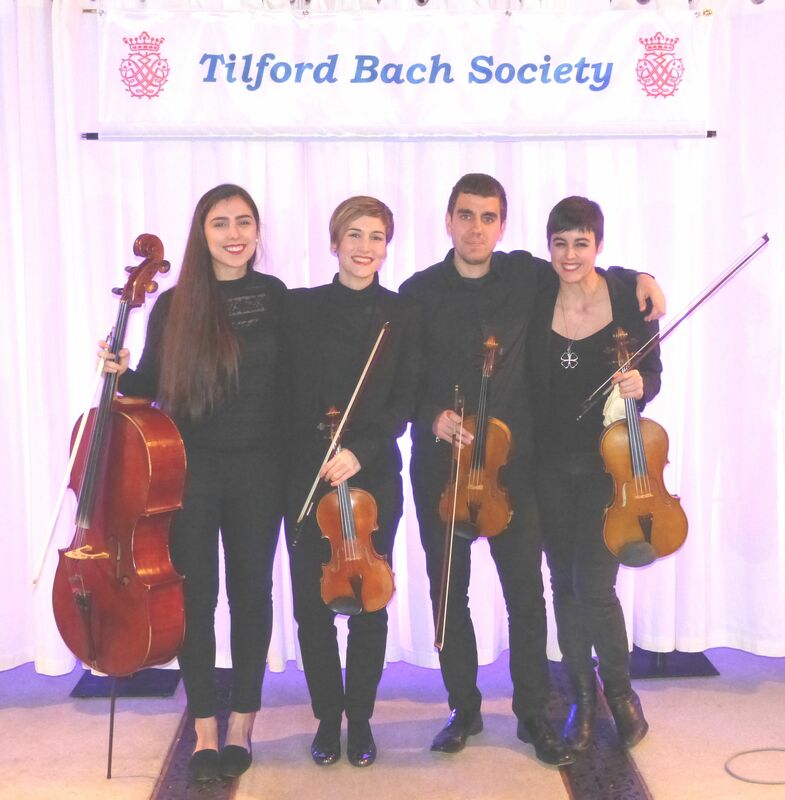 They have studied and received Masterclasses from members of the Brodsky Quartet, Van Kujy Quartet, Cuarteto Quiroga, Rivka Golani and David Kenedy among others.